George Zimmerman wasnt motivated by race in confronting Trayvon Martin. Zimmerman, a Hispanic, was himself one-eighth black. The prosecution in his case produced no statements by Zimmerman showing any racial bias. Alas, most people didnt have time to follow the trials day-to-day testimony, and obviously didnt know that. They got summaries presented by the mainstream media. NBC selectively edited a 9-1-1 call to make Zimmerman sound racist. President Obama pronounced the killing as racially motivated, first personalizing the case by comparing Trayvon to a hypothetical son of his, then his younger self, and then suggesting Trayvon was followed because of his race. Naturally, Jesse Jackson claimed the case meant blacks are under attack. Martins parents surely believed the tragedy was about race. Now, race appears central in the recent murder of Australian Christopher Lane in Oklahoma, but the discussion seems to be about almost everything else, especially gun control. Oak Park, Ill.: Two blacks repeatedly punched a young white man; one of the two attackers told police he beat the victim because he was upset with the Trayvon case. Washington, D.C.: Three black men robbed and beat a white man, stealing his wallet and iPhone. One of the black men said, This is for Trayvon Martin as they approached the victim. Chester County, Pa.: Firefighters responded to an arson started at a white-owned business with the words Kill Zimmerman painted in red on the front wall. Similar revenge attacks have reportedly occurred in Memphis, Tenn.; Norfolk, Va.; and Sanford, Fla.
Would these attacks have occurred without the perception that Zimmerman was motived by race? Maybe. The Zimmerman case could have been only an excuse for attacks that would have taken place anyway. Nevertheless, the list of attackers who explicitly mention Trayvons name is long enough to be disturbing. For President Obamas part, it is hardly the first time that he has interjected race into law-enforcement issues. When Harvard Law professor Louis Gates was arrested at his home in 2009, President Obama fanned racial flames by saying Cambridge Police acted stupidly in arresting somebody when there was already proof that they were in their own home and linking it to a long history in this country of African Americans and Latinos being stopped by law enforcement disproportionately. He left out the important fact that Gates behaved aggressively towards police officers in front of many witnesses. President Obamas election brought hope that he would bring Americans of all colors together. The opposite has occurred. Criticisms of the president are often framed as based on racism rather than legitimate policy disagreements. A new Pew Research Center poll finds that compared to 2009 almost twice as many of both blacks and whites think that race relations have been getting worse. While Obamas comments might hearten blacks who feel discriminated against, is anyone surprised that polls show race relations have been getting worse since his election? President Obama would probably have more credibility on race issues with America as a whole if he criticized crimes against whites or Hispanics in the same terms as he uses when discussing attacks on blacks. He has kept mum on violence by blacks against whites, even when there is evidence of racial animus, such as in Christopher Lanes death. When Obamas deputy press secretary was asked about Lanes murder on Wednesday, he claimed, Im not familiar with it, actually and said that he couldnt comment on it anyway because he wouldnt want to get ahead of the legal process here. Thats hardly the approach the White House took to the Martin or Gates cases. Would it really hurt the president to speak out against all forms of racism? Its what we were promised. A little balance would help bring Americans together. Can I get an AMEN sumbuddy! I thought I read rectal imbalance. 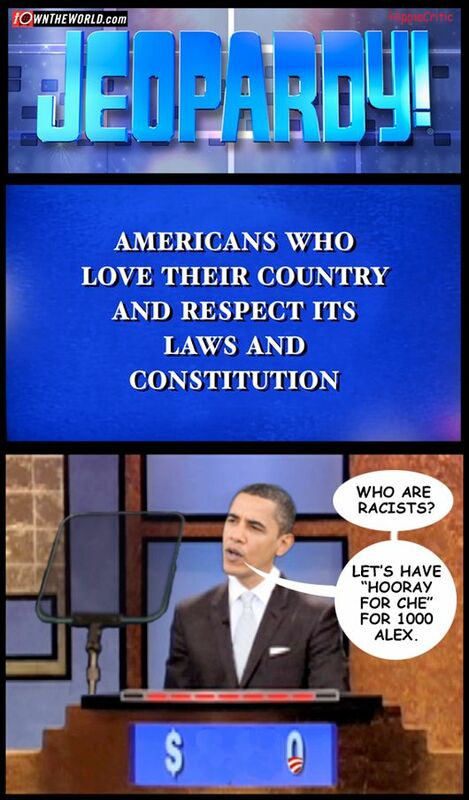 Shouldn’t the title read “nobama’s racist agenda”? I have not seen or heard any evidence that Zimmerman “confronted” Martin, but have read that Martin approached Zimmerman, who was walking toward his parked auto, and posed a question to him. Lott leaves out the case of the young white man in St. Paul, Minn., who was beaten and left in a coma recently by a group of young black men. Of course that may have had nothing to do with Trayvon and simply been because he was white. Exactly as predicted on this very website, by just about everyone who ever expressed an opinion on the matter. It didn't require a Cray, or even pocket calculator to figure the Rats would cry "Racess!" at every criticism of The Won.